A French confectionary classic, Macarons are light-as-a-feather cookie sandwiches that add a touch of sophistication to the dessert table. 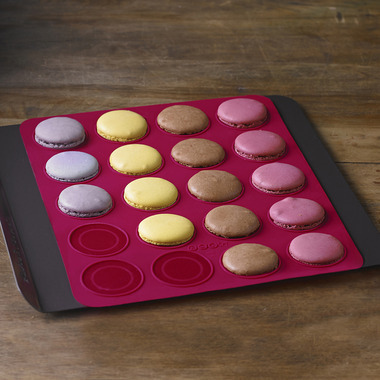 Trudeau's Macaron Sheet lends a helping hand to making these delicate sweet treats. 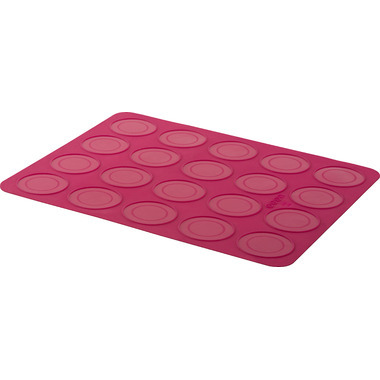 This non-stick silicone sheet features 20 individual placement circles with raised edges to guide and mold macaroons into perfect shape. Sheet protects metal cooking trays, facilitates fast and easy cleanup and is heat resistant up to 428°F/220°C. Rolls up for compact storage and is dishwasher safe.